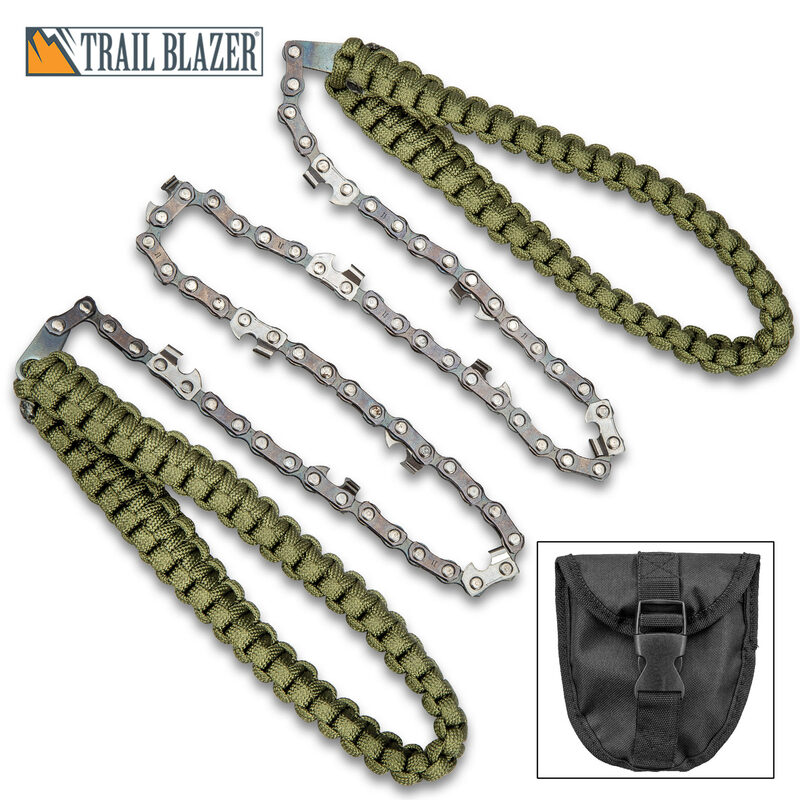 Trailblazer Pocket Paracord Chain Saw With Pouch - High Carbon Steel Construction, 11 Sharp Teeth, 24” Saw Length - Overall 39 1/2” | BUDK.com - Knives & Swords At The Lowest Prices! 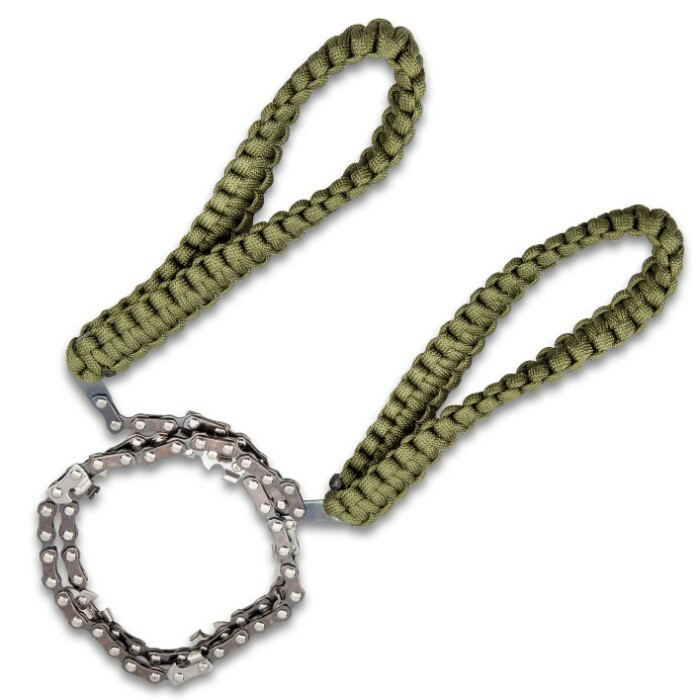 The Trailblazer Pocket Paracord Chain Saw is lightweight, versatile and flexible. 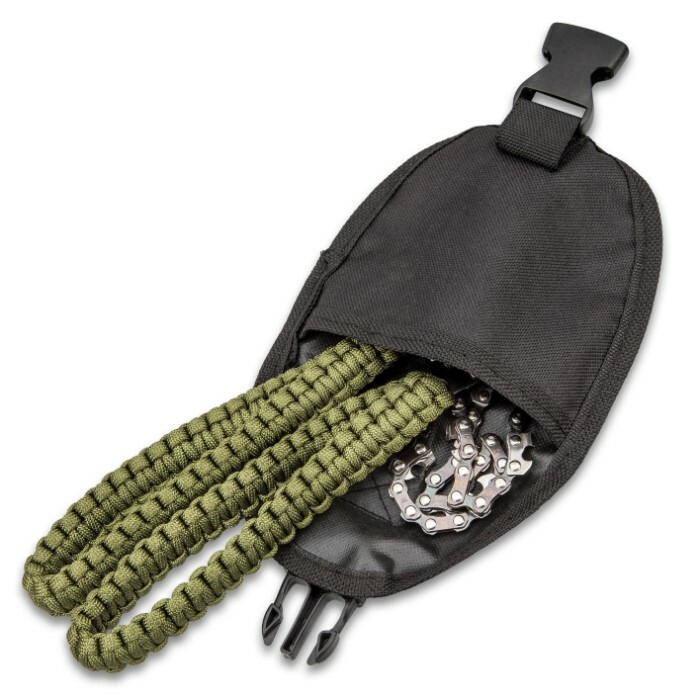 With eleven sharp cutting saw blades, the portable survival saw can cut through wood from small branches to large tree trunks in seconds and cuts over-head branches with ease. 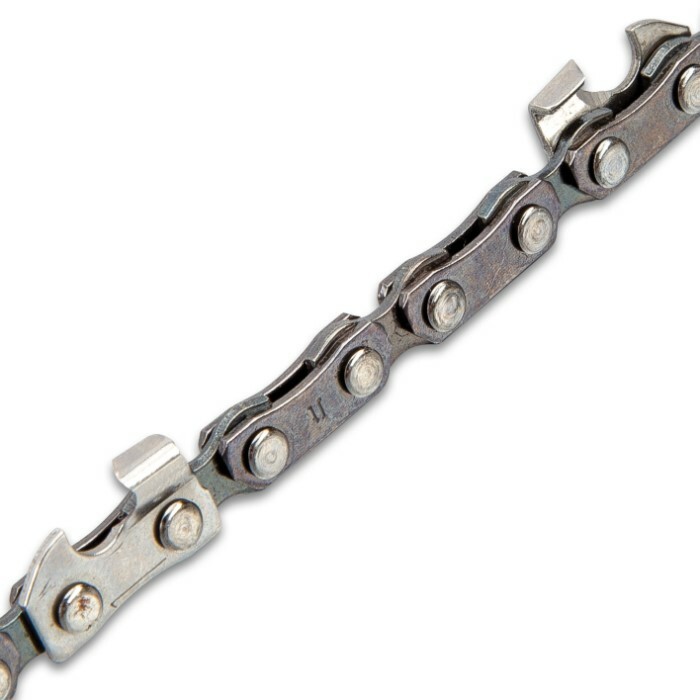 The flexible chainsaw links create a steady, yet flexible bi-directional motion, which saves a large amount of time and effort. 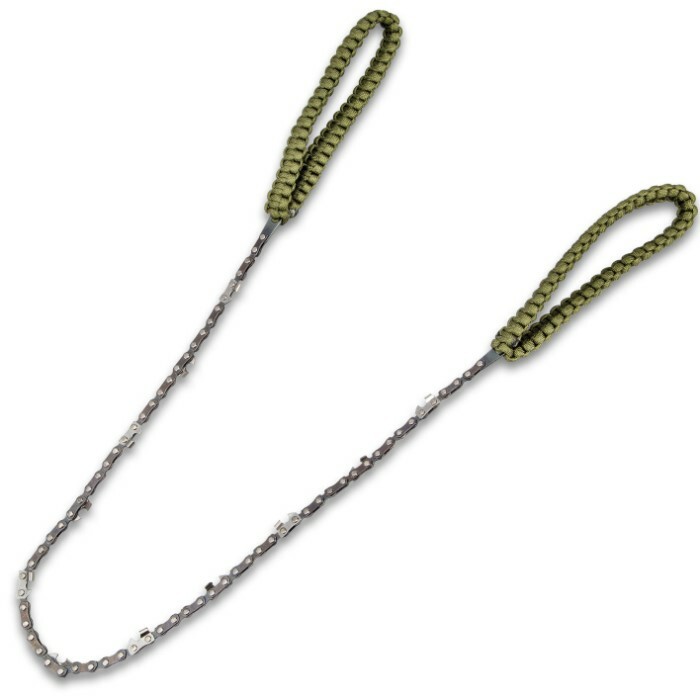 It’s made of industrial-grade, heat treated steel chain for long lasting durability with super strong paracord handles and self-cleaning style cutting teeth. 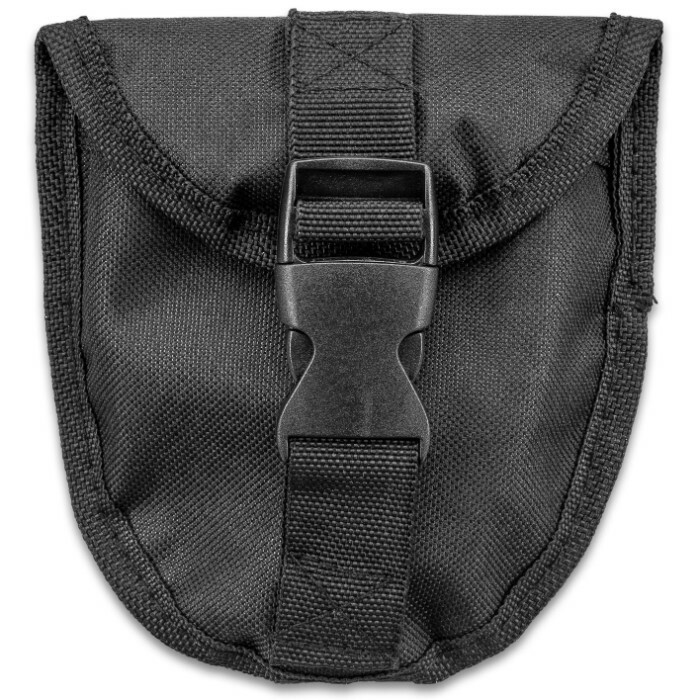 The handsaw is ideal for many different situations and its portable pocket size and cool appearance makes it a great choice as a gift for campers, hunters, hikers, backpackers and any outdoorsman!